April31 plastic surgery clinic is one of the Seoul Medical Tourism Alliances through a thorough review and on-site survey conducted by the evaluation committee, consisting of experts, in accordance with the evaluation criteria such as the institutes’ environment and capability of attracting and accommodating foreign patients. ​We are truly grateful to work with Seoul metropolitan government. April31 will consistently provide the best medical and patient service for our patient. 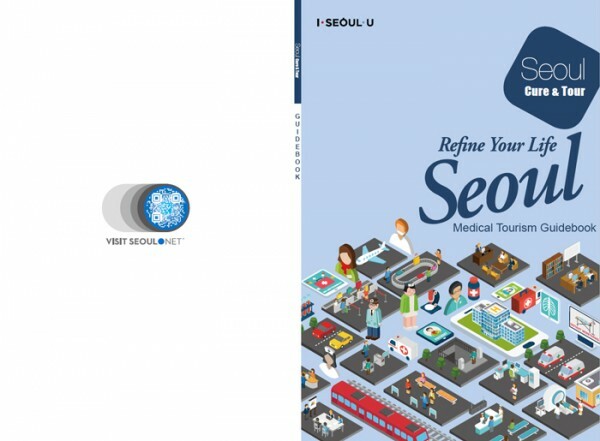 ​You will find us on annual catalogue of seoul medical tourism guide book “Seoul CURE & TOURE” produced by Korea Tourism Organization of Korean Government. 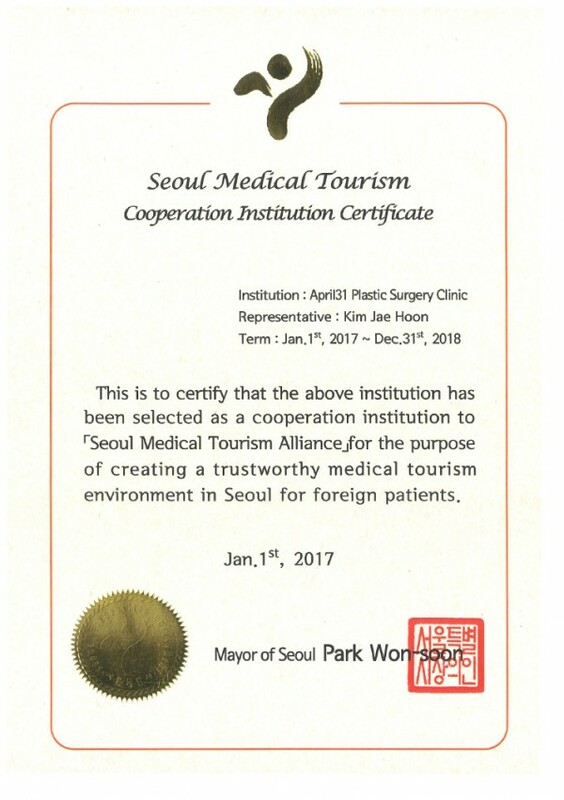 Seoul Metropolitan Government is operating the Seoul Medical Tourism Alliance by selecting cooperative medical institutes that possess a high level of competitiveness and integrity in order to provide a medical tourism environment that can be trusted by foreign patients who come to Seoul to receive medical services. The Seoul Medical Tourism Alliance, jointly with Seoul, strives to promote the excellence of Seoul Medical Tourism overseas; to provide more comfortable medical services for foreign patients visiting Korea; and to construct an advanced medical tourism environment. COPYRIGHT 2014 BY April31 MedicalGroup. All rights reserved.